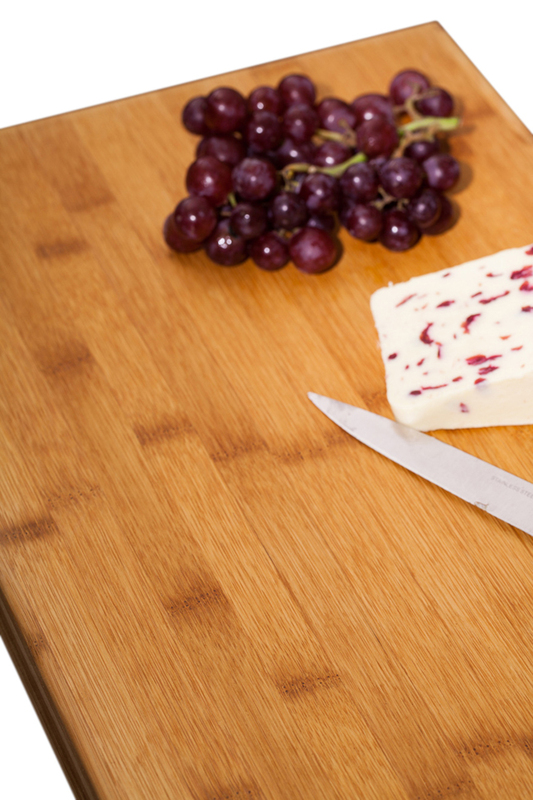 A matching chopping board is the perfect complement to your wooden worktops. Prevent your kitchen worktop from being unnecessarily scratched and help it to remain in pristine condition by always having a chopping board available for use. Our chopping boards are made from top quality A-grade timber. They are a generous 450mm X 300mm X 40mm size and are supplied fully sanded and oiled along with a pencil top and bottom edge profile making them ready for immediate use. Chopping boards are delivered free of charge when purchased with any wooden worktop from our range. Why not add that finishing touch to your kitchen by contrasting a different species of wooden chopping board with your worktop to create an exotic effect?